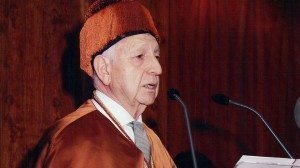 Juan Antonio Samaranch was the first person to be awarded an honorary doctorate, the university’s highest academic distinction, in recognition of his services to the Olympic movement. 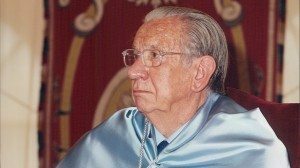 Until his death in 2010, Samaranch was the greatest advocate of sport in Spain. 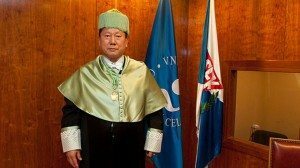 His election as President of the International Olympic Committee was decisive in bringing the 1992 Games to Barcelona, the first time the Olympics were held in Spain. The Barcelona Games were considered to be the best in Olympic history. 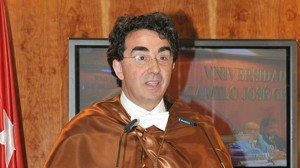 One of Spain’s most prestigious architects, Antonio Lamela, was the second person to receive an honorary doctorate from the university. Also Honorary Director of the University School of Architecture and Technology, Lamela is responsible for some of Madrid’s most emblematic buildings, including the Colón Towers, the Santiago Bernabeu stadium and the extension of Barajas airport (this latter work with Richard Rogers). 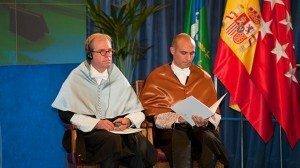 In a joint ceremony, the university awarded honorary doctorates to the architect, academic and computer scientist, Nicholas Negroponte, and to Bernardo Hernández, then Director of Product Management at Google. Negroponte, founder of the One Laptop per Child Association (OLPC) and of Wired Magazine, was honoured for a lifetime dedicated to innovation, the opening up of new avenues of knowledge, for his sensitivity to the most disadvantaged and for breaking down barriers for a more equal and just world. 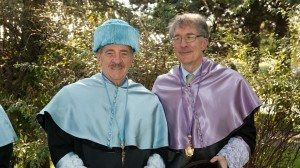 Howard Gardner is Professor of Cognition and Education at the Graduate School of Education at Harvard University, where he is also Co-director and Chairman of the Management Committee of Project Zero, a research group that studies learning processes in children and adults. Internationally renowned for his theory of multiple intelligences, that has significantly changed the educational model, Gardner has identified at least eight different cognitive abilities. Joseph Renzulli is Professor of Educational Psychology at the University of Connecticut, where he also serves as director of the National Research Center on the Gifted and Talented. 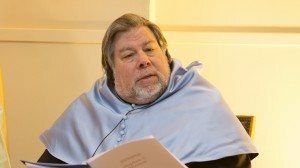 Stephen G. Wozniak was awarded an honorary doctorate in recognition of what he represents as a role model for youth, and for society as a whole, because of his exceptional work in the fields of technology, innovation and education. Wozniak is a computer science engineer, philanthropist and inventor, as well one of the world’s best known figures in information technology. The co-founder of Apple with Steve Jobs, Wozniak developed the Apple I and Apple II computers — inventions that proved such a landmark in the generalised use of personal computers.